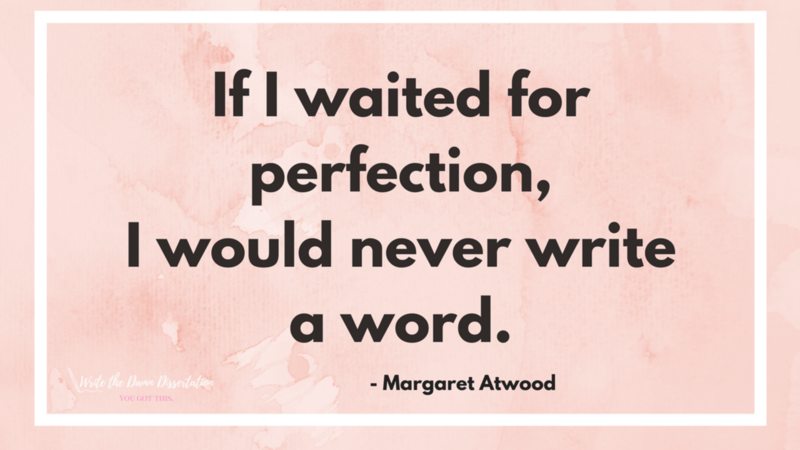 Dissertation Truth Bomb - Don't let PERFECTION PRISON paralyze you. I’ve seen perfection stifle the students I work with. They come to me because they are stuck, and sometimes, they just need accountability. For some students, I am the last ditch effort to save the degree. I can relate, as I was there too. I was a doc student who received the dreaded 6-year letter. I want to keep you moving to the finish line. Don’t let days turn into weeks, weeks turn into months, and months turn into years without making progress. You can DO this. STOP... rearranging your desk, cleaning the house, organizing your linen closet, surfing Facebook (you know you do it), alphabetizing the books on your shelf, doing anything you can, to avoid writing... just STOP. Sending you a little motivation and a reminder that you can and WILL finish. Stick with it. If you are procrastinating, set aside 30 minutes TODAY to write. Once you see progress, you will be motivated to keep going.